Six of Louisville’s most artistic and grand homes will be open to the public on Sunday, September 23rd for the American Institute of Architects (AIA) Central Kentucky Chapter (CKC) Annual House Tour fundraiser benefiting Habitat for Humanity of Metro Louisville. 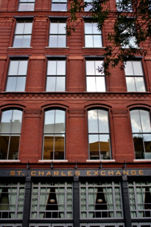 This year, conclude your House Tour at the St. Charles Exchange at 5:00 p.m. for a tour led by the architect. Located at 113 S. 7th Street, St. Charles Exchange is a newly renovated 3800 square foot building turned into a unique downtown restaurant experience that embraces the history of the building and creates a casually elegant environment reminiscent of a 1900’s hotel lobby bar, designed by Chris Bowling, AIA with K. Norman Berry Architects & Associates. Enjoy the open courtyard, the creative turn of the century menu, an American estate grown wine, a craft beer or choose from a variety of refreshments to end your day. St. Charles Exchange has graciously agreed to donate a percentage of sales on the day of the tour to Habitat for Humanity of Metro Louisville. Learn more from these architects and about their designs by attending this year’s House Tour Architects Forum hosted by Dr. John Gilderbloom of University of Louisville on Saturday, September 22nd from 10:30 a.m. – Noon, located at The Urban Design Studio, 507 S. 3rd Street. Refreshments will be kindly provided by Lynn’s Paradise Café. Please R.S.V.P. to Dr. Gilderbloom at jgilde02@sprynet.com. The AIA CKC Annual House Tour is open to the public from 1:00 p.m. – 6:00 p.m. on Sunday, Sept. 23rd. Proceeds from all ticket sales will go directly to Habitat for Humanity of Metro Louisville. You may begin at any home on the tour. Tickets will be available at each of the homes on the day of the tour for $15.00 each or $10.00 each when purchased in groups of ten. Advanced ticket sales will be available at the forum on Saturday. Additional information can be found online at www.aia-ckc.org or on Facebook at http://facebook.com/aiackchousetour! 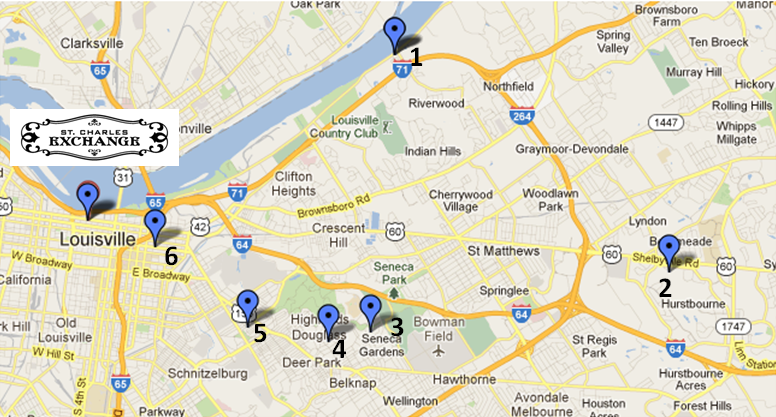 The Central Kentucky Chapter is the oldest of AIA Kentucky’s chapters. Established on February 3, 1908, this chapter has always been headquartered in Louisville, with AIA members throughout the central, southern, and western regions of Kentucky. The House Tour was initiated in the 1980’s to promote architectural design and to benefit Habitat for Humanity.